The point of this blog is not for me to celebrate this blog or any of my own personal breastfeeding accomplishments. 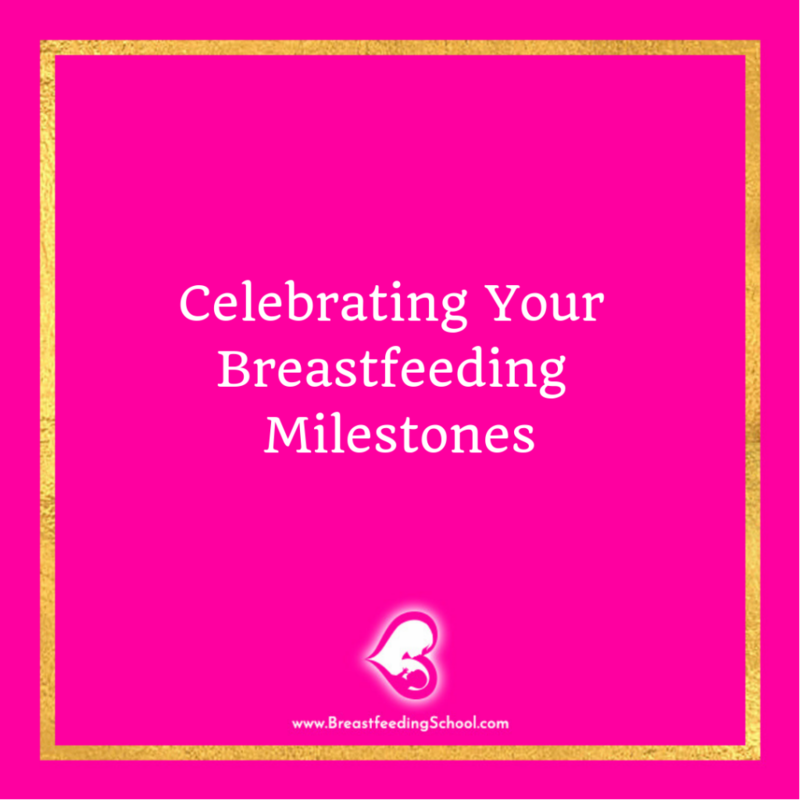 The point of this blog is to help YOU celebrate YOUR breastfeeding milestones. Breastfeeding women and breastfed babies become stronger one breastfeeding session at a time. In order to celebrate, we must put in the effort that breastfeeding requires. We must learn about breastfeeding because even though breastfeeding is the most natural thing, it does have a learning curve. And incorporating breastfeeding into your life so that it becomes a part of your day-to-day lifestyle requires your commitment and your effort. When you complete a month of breastfeeding, we’ll refer to that as a breastfeeding monthiversary. When you complete a year of breastfeeding, let’s call that a breastfeeding anniversary. So ask yourself, how many monthiversaries and anniversaries do YOU want to have? Hopefully, it’s as many breastfeeding monthiversaries as possible and two or three breastfeeding anniversaries. Why Would You Wanna Have A Couple Breastfeeding Anniversaries? The cool thing about breastfeeding anniversaries is that you’ll probably celebrate it on your baby’s first, second and third birthday. It’ll be neat to celebrate such special and important days with your baby. It’ll be a double celebration. 1) your baby’s birthday because you birthed them on a day like that day. 2) the fact that you have infused your baby with LIFE through your breast milk. Because breastmilk is literally alive, and filled with life-saving, life-promoting and life-strengthening nutrients that are unparalleled in any other food and in formula. So YOU, my friend are a hero when you breastfeed! Literally. You’re not only saving your baby’s life by giving them breastmilk… that thing that they most need to thrive… you’re prolonging their life. What superhero does that? Why Will You Be Celebrating? To anybody who’s actually breastfed, this question almost has a duh answer. 1) You’re doing it – the single act of breastfeeding is worth celebrating. 2) You’re nourishing your baby with the most gourmet and healthy food available. 3) You’re overcoming the pain and struggles. (Can that get an amen?) It doesn’t matter where it hurts, or for how long, you’re working past that. 4) You’re not giving up. This alone deserves a standing ovation. 5) You’re achieving something that is so beneficial for your baby that will make him/her live a healthier life not only now as a baby, but later as a toddler, as a child, as a tween, as a teen and as an adult. Plus, with every monthiversary and anniversary that you celebrate, you are becoming healthier and are increasing the likelihood of you yourself living a longer life. 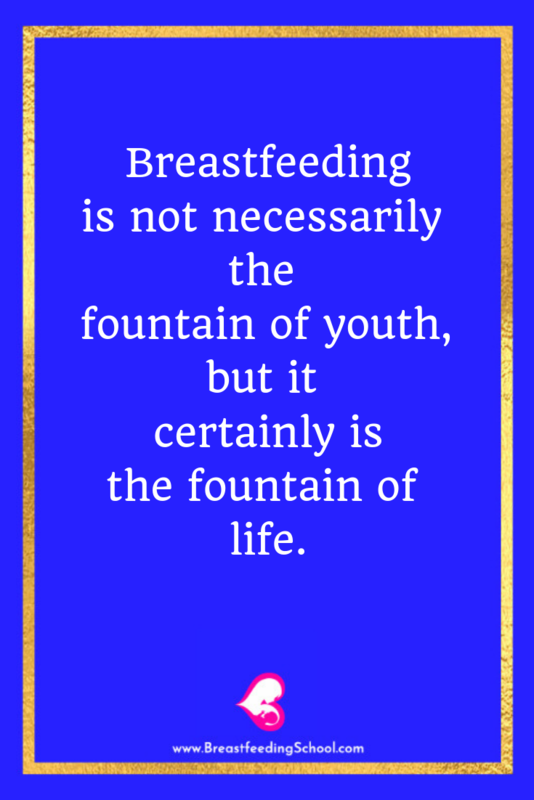 Breastfeeding is not necessarily the fountain of youth, but it certainly is the fountain of life. So for all these reasons and many more let’s simply celebrate!!! We waste a lot more time trying to justify our joys and celebrations than simply being joyous and celebrating. And breastfeeding deserves a HUGE celebration. As much as you can and as often as possible. Oprah says that mothering is the hardest job on Earth. Make that a breastfeeding mom… and you deserve the hypothetical Oscars. Can You Take These Celebrations To The Next Level? As women, and moms, it is very likely that you’ll be intrinsically motivated to breastfeed your baby and simply knowing that you reached your breastfeeding monthiversaries and breastfeeding anniversaries will be enough. But, you’re welcome to have a spa day the day after you reach your anniversaries (because most likely it’ll be your baby’s birthday celebration the day before). You can keep these breastfeeding monthiversaries and anniversaries public or private. It’s totally up to you. Do whatever keeps you happy and motivated. And the first thing I have to say to that is don’t just yourself. You may be so committed to breastfeeding that to you it’s not a big deal if you do it for 30 more days or 12 more months. But look around you…. are all the women you know breastfeeding? How about 1/2 the women you know? 1/4 of the women you know? Are you starting to see that you’re doing something worth celebrating that other women are not? And if you’re not interested in anything that I mention, that’s okay. Maybe buy yourself something from Amazon, or a pint of Talent ice-cream. Or a bag of Doritos. Whatever it is doesn’t matter. What matters is that YOU don’t minimize your breastfeeding accomplishments, society already does that SUPER well for all of us. Give yourself a smile in the mirror, a hypothetical or actual pat on the back. Whatever you do, please KNOW that what you’re doing is GREAT! I ADMIRE you for it. I really, really, really, do. You have no idea how much. And because you don’t, I’ll tell you, I wish that all moms were as great as you are and were on this blog, learning more about breastfeeding, of all things, simply because they wanted to give it their all to this thing called mothering. And you should admire yourself, too. How Long Will These Breastfeeding Monthiversaries and Breastfeeding Anniversaries Celebrations Last? You can breastfeed one more month or one more year if you want to. And breastfeeding is a choice more than anything. A habit. Of doing it. And doing it again. And again and again. In order to help you celebrate as many breastfeeding monthiversaries and breastfeeding anniversaries possible, I would like to invite you to join the free email course called Breastfeed Your Baby Successfully . In it, I share many breastfeeding tips that will help you go through the ups and downs of breastfeeding. Breastfeeding isn’t a smooth journey (for anybody, really)… but it’s THE BEST journey for you and your baby’s connection, health and quality of life. Don’t think that you have to do this breastfeeding thing alone. I’m here to help you and cheer you on. Now I’d like to know more about you? How many breastfeeding anniversaries or monthiversaries have you celebrated? I know that after reading this you might feel like you wished you would have breastfed for a longer period of time. But as Maya Angelou says, when we know better, we do better. And the fact that you’re reading this is a positive sign. And you can be PROUD of that. 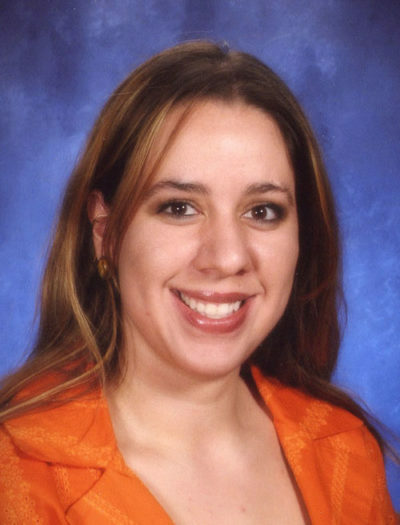 If you are starting to breastfeed (congratulations on your baby and your decision to breastfeed, by the way) bookmark this site and let me know when you celebrate a monthiversary. I can’t wait to congratulate you along the way! If you’ve been breastfeeding for a while, it is totally possible that right at this moment, you’ve had a combination of anniversaries and monthiversaries. Think of it like money- you can have dollars AND cents. 1 anniversary and 2 monthiversaries.